The first race of the 2001 season is finally here! But, how well do you know Albert Park and the starts of the previous F1 seasons? Well, it's time to find out: simply answer the 12 questions below, and press submit. Have fun! 1. Since 1990, which two drivers won the first race of the year but did not go on to win the WDC that year? 2. Which two drivers had a streak of three consecutive first-race victories? 3. Which constructor has the most number of first race wins? 4. Which driver had the most variety of car makes with which he won races opening various seasons? 5. 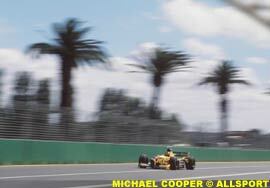 What is special about the 1994 Australian Grand Prix? 6. 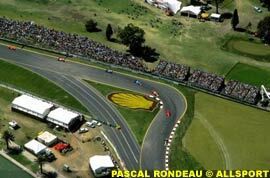 What is special about the 1995 Australian Grand Prix? 7. When was the last wet weather Australian Grand Prix? 8. 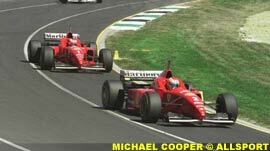 Out of Johnny Herbert's 5 starts in Melbourne, how many times did he fail to complete more than 1 lap? 9. Which corner of Albert Park is this? 10. Which corner of Albert Park is this? 11. Which corner of Albert Park is this? 12. 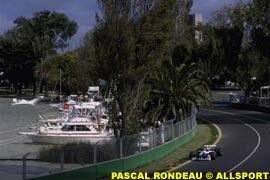 Which corner of Albert Park is this?